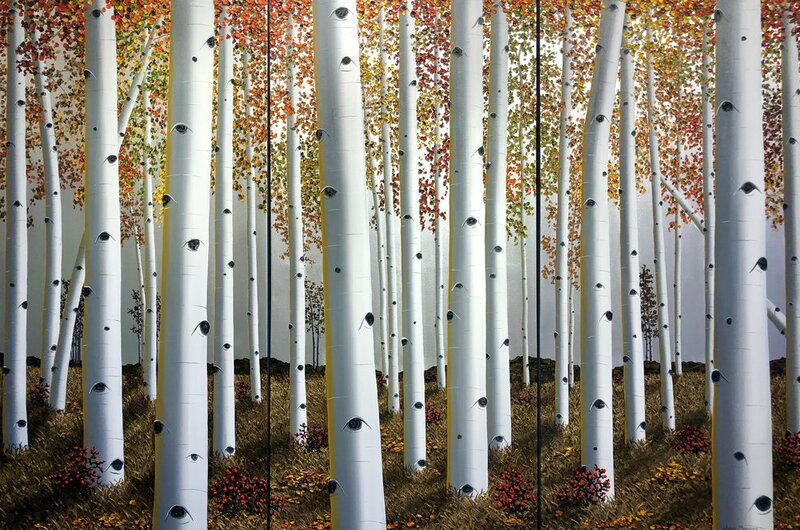 Here is your full photo presentation of Sherri Mignonne’s three-panel “Aspen Woods”. 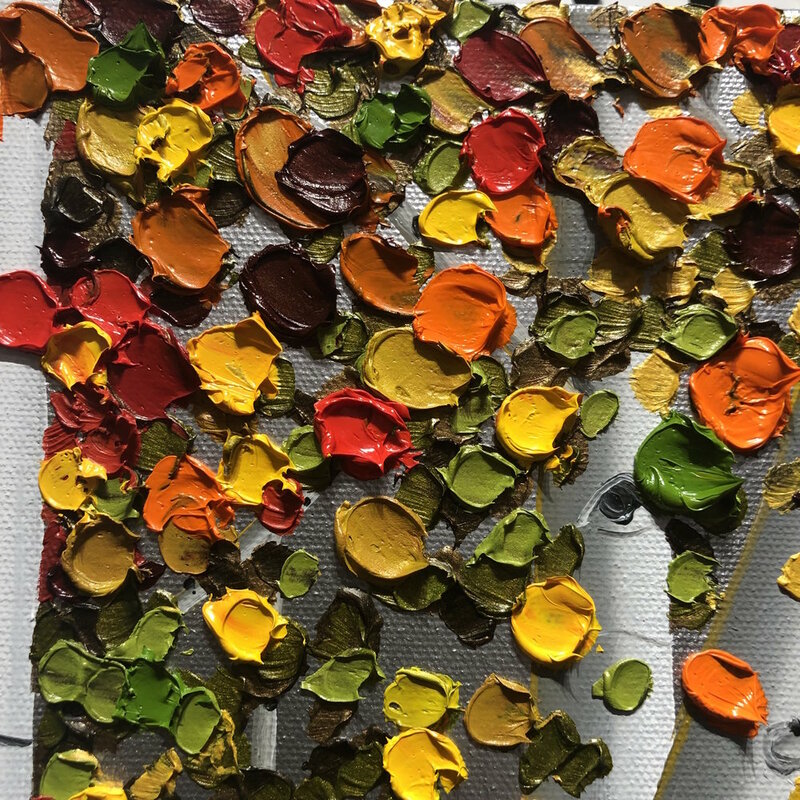 Sherri’s brilliant use of color and texture immediately transports you deep into nature…Defining the very essence of Aspen. 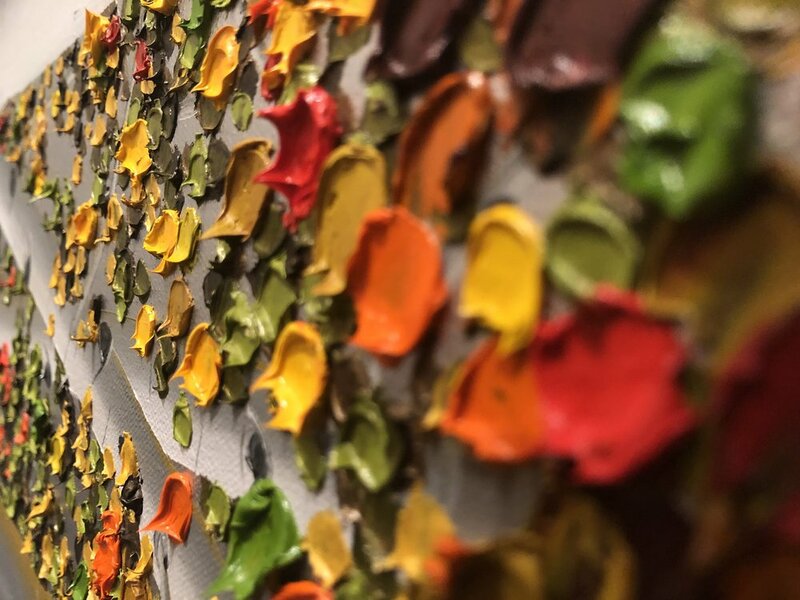 Ofcourse there is nothing like meeting this beauty in person ….which is why we encourage you to come to the gallery whenever you’re in the area to see for yourself! The Colors are astounding….when you think of Aspens….what color do you see first? Or do you think of Yellow autumn leaves? Are they meant to be Orange? Learn more about Sherri’s awe-inspiring talent and check out her latest collection! 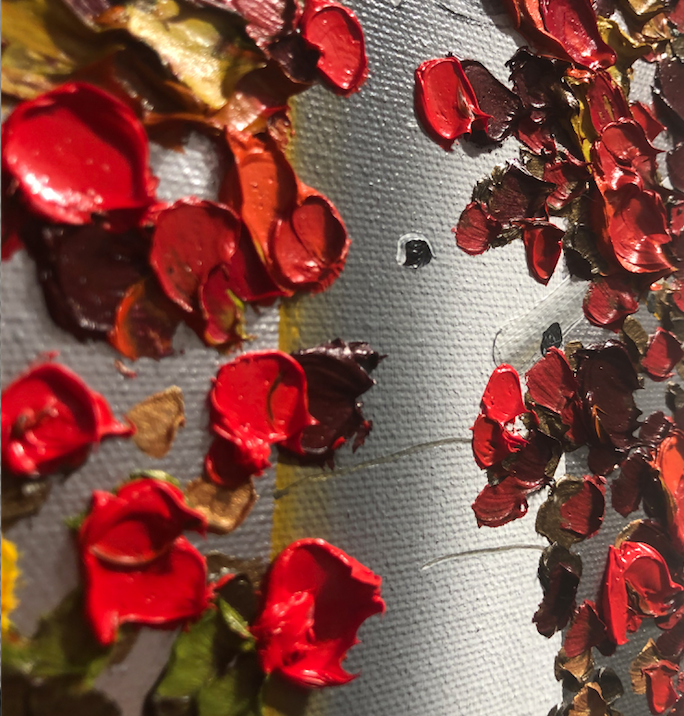 Read about her Collection capturing the endless beauty of Autumn! Keep up the breath-taking work, Sherri! Stay tuned for your coming Christmas Collection. TYLER SEAN's Floral GUCCI jacket...ICONIC ART?